Writer, thinker, startup guy, and former pastor from Portland, Oregon. Beautiful young teenager on bed staring at screen of laptop and chatting on social networks with friends. Facebook knows just about everything you do on the Internet. 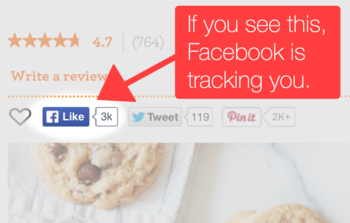 Any site that has a "Like" or "Share" button on it is sending your browsing behavior back to Facebook. They've been doing this since 2010. The scary part is that, according to an MIT Technology Review report, Facebook is weeks away from actually using the data it collects. "The millions of Facebook 'Like' and 'Share' buttons that publishers have added to their pages and mobile apps will start funneling data on people's Web browsing habits into the company's ad targeting systems," reported Tom Simonite. Facebook's ultimate goal is to increase the time you spend on their site (currently 40 minutes, on average.) They do this by using algorithms to show you the exact stories and videos they know you will click on. They learn this through your past Facebook click history, but also by tracking what websites you visit and spend the most time on. 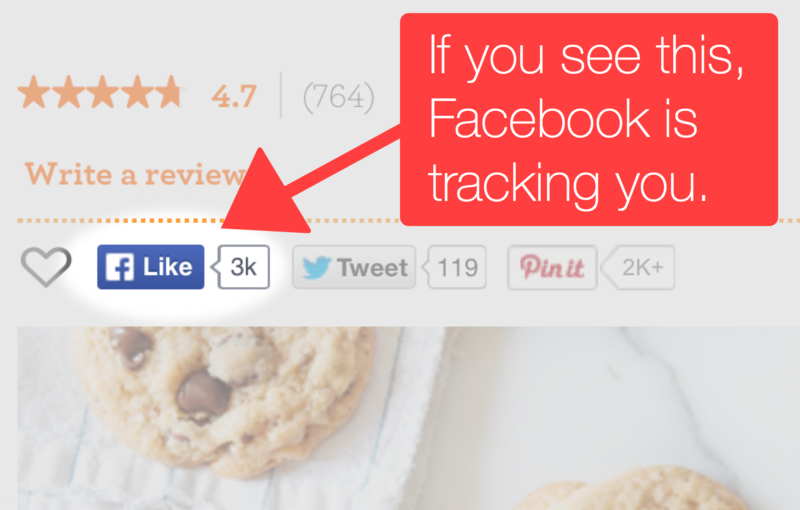 Whenever you visit a site that has a "Like" or "Share" button on it, Facebook is tracking you. The "Like" and "Share" buttons first surfaced in 2009. Developers were allowed to add them to their own blogs, websites and apps in 2010. Just two years later, in 2012, 25% of the entire Internet had Facebook integrated into their site. Now, in 2015, most all of the websites you visit on any given day are being tracked by Facebook. They know what you read and what links you click on and they use this data to keep you on their site longer so you will click on more of their ads. If you use an iPhone, iPad or Mac, the always-competitive Apple has a response to Facebook. Apple rolled out "Content Blockers" inside the newly released iOS 9. This technology will also be coming to the Safari web browser in the upcoming El Capitan operating system in late-September. The iOS 9 version allows users to install 3rd-party ad-blocking apps that control what content is allowed to display and run inside Safari. This includes blocking social widgets such as Facebook's "Like" and "Share" buttons. Since Tuesday's release of iOS 9, a few content blockers have gained significant popularity. Specifically, 1Blocker and BlockBear let you block out unwanted social widgets by Facebook and other social media sites. This is most likely a strategic move by Apple to keep pace with Facebook in user-targeted ads. But, we can thank them for keeping our web browsing experience a secret from Facebook. Nate is the founder of Sumry -- your professional story and writes at nate.fm.